Got my Chucks on. Headed to con-ven-tion. Gotta kiss myself, I’m so pretty. Ok, maybe I’m not going to kiss myself, but the rest of that is true. See? 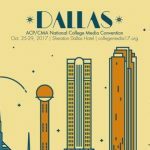 I’m headed out for fall National College Media Convention. 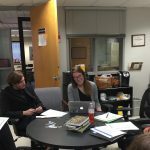 You’re in for a real treat if you’re headed to the annual convention, hosted by Associated Collegiate Press and College Media Association, for the first time this year. If you’re making a return conference trip, you already know what I mean. There is just nothing like spending several days with people who are just as nerdy about journalism as you are. I always love the annual convention because of all of the friends I’ve made, all of the students I get to meet and (hopefully) help, and how much I learn while I’m there. I also have the special honor of being sworn in as College Media Association’s first president-elect during this year’s convention. I can’t remember how many years I’ve been to Fall National College Media Convention, but it’s been quite a few. As a result, I’ve learned some things about what to do and what to avoid, regardless of what city we’re in. Here are my 11 Ways to Make the Most Out of College Media Convention. Use social media to share what you’re learning with others. The hashtag for the conference is #collegemedia18. I’ll meet you over on Twitter @profkrg. I encourage you to follow the conversation, even if you aren’t attending the conference. I promise you’ll learn a lot, even from afar. A couple of words of advice. It’s great to share your learning, but try not to spend the entire conference with your face in your phone or laptop. Remember that you should network with those who are there. Aren’t exactly sure about this whole tweeting conference thing? Read my post Live Tweeting: How to Get the Most Out of Conference Attendance. You’ll meet a ton of people, so it’s important for them to remember who you are and vice versa. This also helps you identify conference attendees with whom you should network. Check out my post on giving an elevator pitch and have yours ready before the conference. copies of your most recent publications. There will be an area to distribute your pubs and collect those from other schools. Also, don’t forget your Best of Show entries. 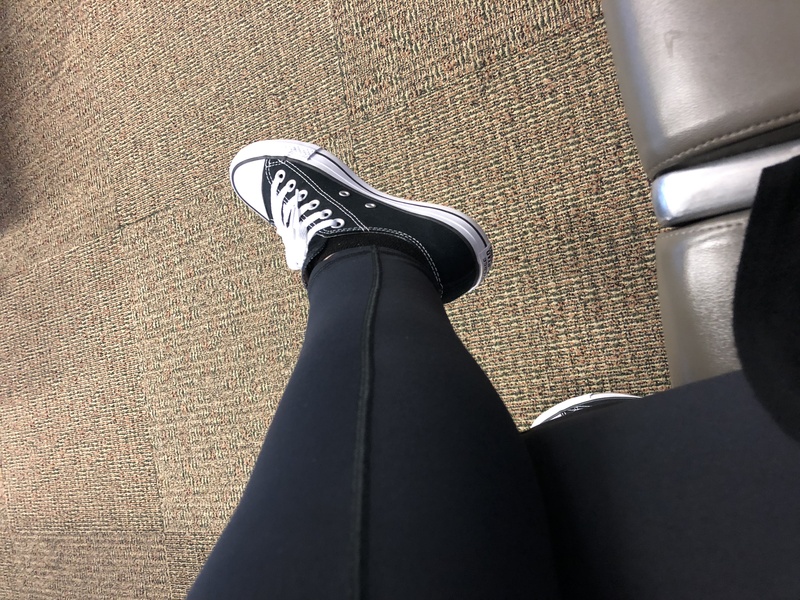 You should “dress for the job you want, not the one you have.” I wear professional dress all day and in the evening during the entire conference. Remember that networking is a huge portion of the conference’s purpose. Dress nicely from arrival to departure. If I see you in your PJs, I’m judging you. Note: While I will judge you if you’re in your PJs, I will not judge you if you’re in comfy shoes. You’ll walk a lot. Be prepared. You are at convention to network and learn. Too many times people seem to go to conferences to drink or sight see. I’m really not a wet blanket. I want you to have fun. I also want you to take full advantage of the conference by attending as many sessions as you can each day. If you wake up early and attend sessions, there is plenty of time for fun in the evening. While I’m on this topic, please don’t be afraid to leave a session if you don’t find it helpful. We all want you to get the most out of the convention. Feel free to session hop, if necessary. There are a ton of sessions at convention. The best way to get the most out of your time there is to spread out your staff. I love to meet with the staff I advise and map out who will go to what sessions each day. You can do this with the conference book or on the app. You will learn a lot more if you spread your staff out among the sessions, then debrief and share what you’ve learned during breaks and at dinner. It’s impossible to remember everything you learn at a conference. You’ll also generate a lot of great ideas while listening to speakers or talking with others. Be prepared to document your ideas during the entire conference. I know it’s old school, but the best way to do this is to keep a pen and paper with you at all times. I carry my phone too, but the pen is my tool of choice. It never goes dead. NOTE: Put your phone charger in your bag too. Your battery won’t last all day, even with a back-up. You will get so many great ideas at conference that it’s important for you to have a way to organize them. Put them all in the same notebook or clip file. Make a plan to use them as soon as possible. Where do your new ideas fit into your current goals and objectives? Everyone likes free stuff. Be sure to gather handouts, books, pens, notepads, etc. from the trade show floor. The exhibitors are coming to talk to you and bring you treats. Don’t be shy. If you won’t use the goods, someone in your organization will. It’s fun to bring conference swag back to your staff. And, let’s be honest, you can never have too many pens and reporter notebooks in the newsroom. Enjoy your time at convention to embrace your inner nerd. Conferences are one of the few places where you can sit and debate or discuss the minutiae of your industry. Take advantage of being surrounded by the most intelligent people in your business. Learn from them while you can. You become invigorated with all you’ve learned at conference, but you’re tired and busy when you return to campus. We don’t always do a good job of passing on what we’ve learned to the staff. Schedule a time now to share with your staff some key things you learned at conference. Do this while you’re at conference or the week you return, so everyone gets something from your conference experience. I hope this post helps you feel more excited and prepared for conference. It’s really a fun, nerdy time. I’ll see you in Louisville! Be sure to stop me and say hello.